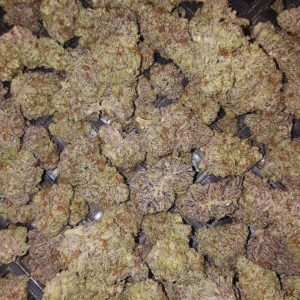 ZKittlez is an indica dominant hybrid strain created through a cross of the deliciously powerful Grape Ape X Grapefruit strains. Although the exact indica to sativa ratio varies based on breeder practices, ZKittlez has been measured consistently at having a low THC level of 15%. Despite this relatively mild THC level, this bud placed first for Best Indica at both the 2015 Cannabis Cups in San Francisco and Michigan. Despite its low THC level, this bud packs a powerful flavorful punch. ZKittlez has a super fruity aroma of sweet tropical earth with a slight herbal effect to it. 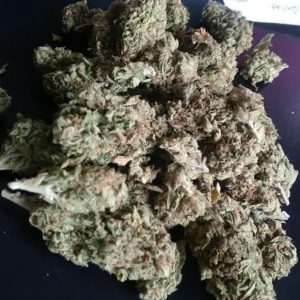 The flavor is even better, with a sweet berry taste that has a crisp tropical citrus aftertaste that lingers on the tongue long after you finish smoking. The ZKittlez is just as enticing as its taste, although it is relatively mellow in nature. It starts with an uplifting head buzz that leaves you euphoric and creatively inspired but not anxious or overwhelmed. This is accompanied by a relaxing body buzz that slowly spreads throughout the body and to your very fingertips, leaving you completely calm and pain free without limiting your movement. A mild sleepy effect will wash over you upon the comedown, although it won’t put you to sleep. 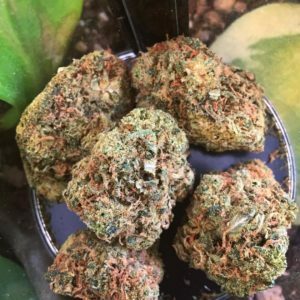 These effects make ZKittlez the perfect choice for treating patients suffering from conditions such as insomnia, chronic pain, mild cases of depression, chronic stress or anxiety, and inflammation. 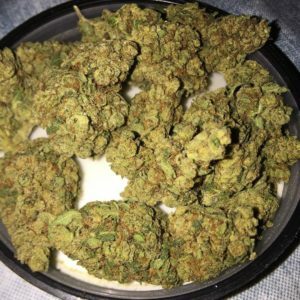 This bud has large and lumpy pepper-shaped dark olive green nugs with sparse rich amber hairs and a thick frosty coating of tiny crystal white trichomes. The ZKittlez is just as enticing as its taste, although it is relatively mellow in nature. It starts with an uplifting head buzz that leaves you euphoric and creatively inspired but not anxious or overwhelmed. This is accompanied by a relaxing body buzz that slowly spreads throughout the body and to your very fingertips, leaving you completely calm and pain free without limiting your movement. A mild sleepy effect will wash over you upon the comedown, although it won’t put you to sleep. These effects make ZKittlez the perfect choice for treating patients suffering from conditions such as insomnia, chronic pain, mild cases of depression, chronic stress or anxiety, and inflammation. 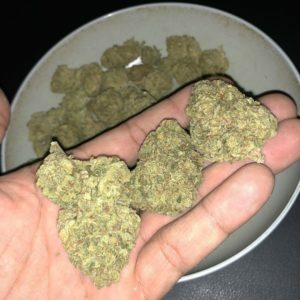 This bud has large and lumpy pepper-shaped dark olive green nugs with sparse rich amber hairs and a thick frosty coating of tiny crystal white trichomes.